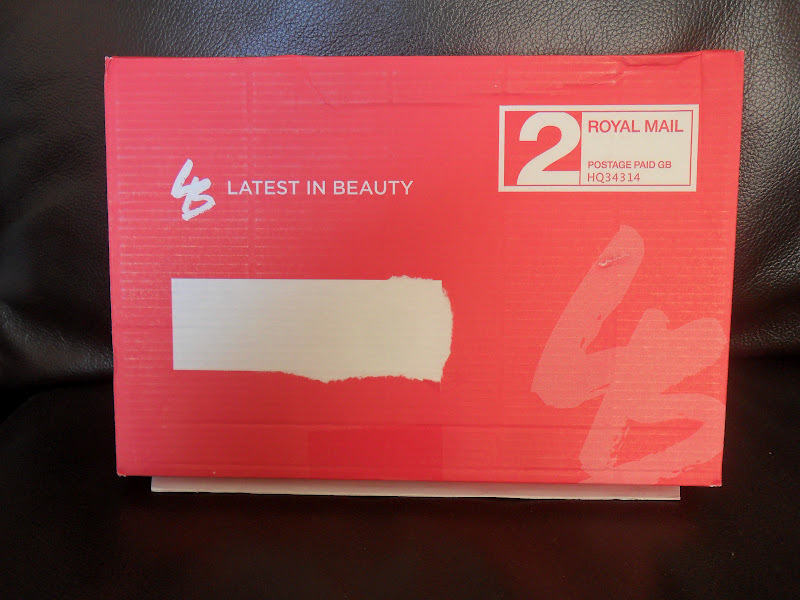 You probaly all know or have heard of Latest in Beauty, every 30 days you can pick 3 samples for £1.50 (the price has recently gone up from £1.00 which may be due to the Royal Mail price increase) this is called Little Beauty Box. Liz Earle Sheer Skin Tint. Super by Dr Nicholas Perricone Bright Eyed Flawless Eye Cream. I was quite impressed with some of the sample sizes. 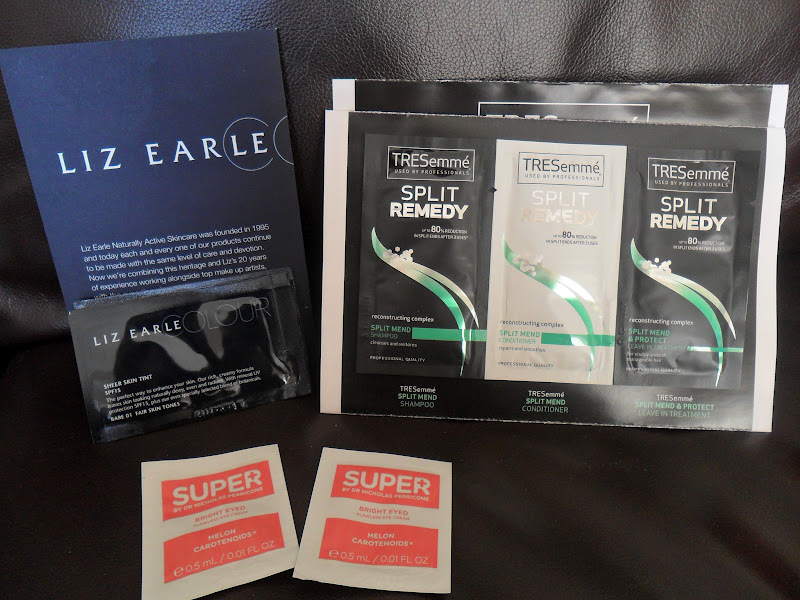 Tresemme Split End Remedy - You get a little pack of 3 10ml samples of the shampoo, conditioner and a leave in treatment which itself is approx 3 uses, you get 2 of these pack so altogether that's 60ml samples. Liz EarleSheer Tint - I was sent 3 2ml sachets in shades Bare 01, Beige 02 and Beach 03. I would have prefered the choice of having 3 of the same shade but I suppose it gives everyone a chance to test which shade is best for them. Super Bright Eyed Flawless Eye Cream - These samples are tiny and unfortunatly both of mine were empty but the lovely people at Latest in Beauty are sending me some more which I am very thankful for as I really wanted to try this product. My only one problem with the Little Beauty box is the range of samples, it's quite a small range (approx 9 to choose from) and sometimes the same sample comes up again and again, saying that it's £1.50 to test out some products so I can't complain. Do you get the Little Beaty Box? I can't wait to test it out, I have heard fab things about it! Ooof, for just £1.50 I think this beauty box is ideal! Only once I tried (through being donated it by my non-beauty-obsessed sister) a Glossy box and was seriously disappointed with the brands included. This box seems to go for quality over quantity and I definitely respect that particularly because you have some choice regarding what products you receive even if there are only a few to choose from. Fab mini review, will totally be checking out the company.